This reading focuses on solving a major life challenge. It explores the pattern currently at work in your life, and possible solutions. 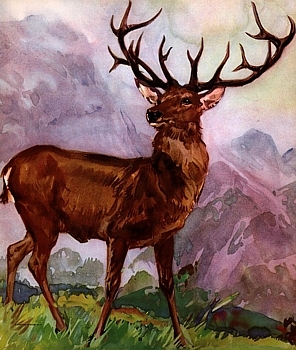 The Animal Spirits in your reading represent both challenges and possible paths to overcoming them and attaining your goals. Scroll down to learn the influence of each Animal Spirit. Click on the images to see larger versions. 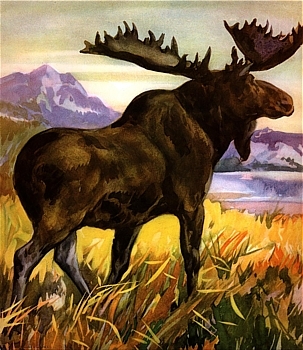 Moose represents incredible strength and longevity, as well as the ability to see the future. Moose antlers are among the largest of the antlered animals, and are like psychic antennae—giving Moose amazingly developed hearing, smell, and depth perception. Moose is bellowing at you to open your third eye and stop pretending that you don't know what's about to happen. Otter represents one of the most playful feminine energies on earth—and she has swum over into your reading to bring a message of joyful play. If life has been difficult or challenges overwhelming, relax a little—Otter is here to remind you that play is just as important as work—and NOT competitive play, but rather the kind you loved as a child. Hopscotch anyone? 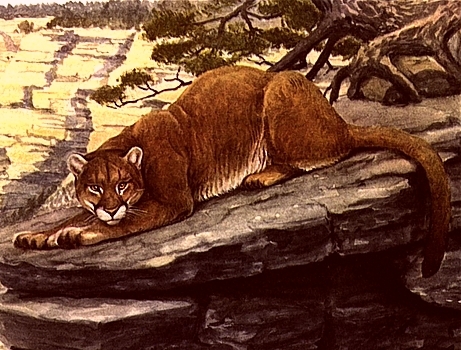 Cougar has long been associated with leadership. Cougars are powerful, agile, and unhesitating. When Cougar attacks, he throws one hundred percent of himself into the pursuit. Although cougar is strong, he is also elusive —hard to spot in the wild—until he decides to pounce. His lesson to you today is one of being a balanced leader—not rushing into the attack, not always lurking in the brush. Crow is always on the alert for trouble—and their loud caws! 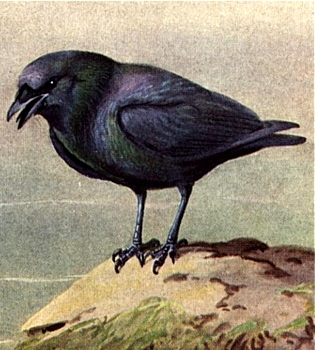 warn each other of impending danger, Very little escapes Crow’s keen vision—which is why many cultures associate Crow with the keeper of knowledge. Crow has flapped his way into your life today to bring a message of watchfulness—have you built your nest high enough to really understand what’s going on around you? You'll never get too close to Armadillo as his hard shell will keep you at arm's length! And, if this roly-poly fellow is in your reading, he's asking YOU to examine the areas where you need a hard shell—boundaries! Do you “do” for everyone but never “do” for yourself? Or, are you being TOO sensitive, protecting yourself even when danger isn't present? If you can imagine Bambi, you can imagine the message Deer brings to you today—a message of sweetness, innocence, and gentle spirit. Be delicate today in your communication with other and with yourself. This is definitely not a time for being critical, mean-spirited, or sarcastic. Just as Deer's heart can be easily wounded, so can the heart of your friends, co-workers, or family members. This masked bandit can make you laugh with his antics, or make you angry when you realize he’s made off with your food! Raccoon is incredibly curious—to the point that he’ll walk into a potentially dangerous situation just to see what’s up. 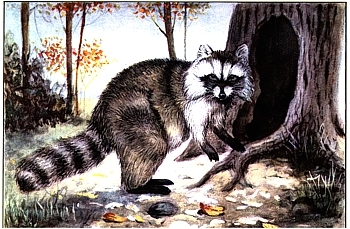 Like Raccoon, are there situations you’re barging into before you have all the information? Might want to re-think this one.